Grand Rouge is a recently formulated line of products from Yves Rocher's Botanical Beauty Laboratories after over two years of research. This new generation of makeup combines intense color and lip care. This is a long wearing lipstick offering brightness and exceptionally smooth application. This is made with high performance waxes that contain natural oils including organic Camellia and Sesame oils for a sensationally smooth application. I received seven tubes of lipstick and the colors are all beautiful. Even though I don't wear lipstick most of the time, I will be keeping a few of these for myself and then give some to my mother who will definitely make good use of them. 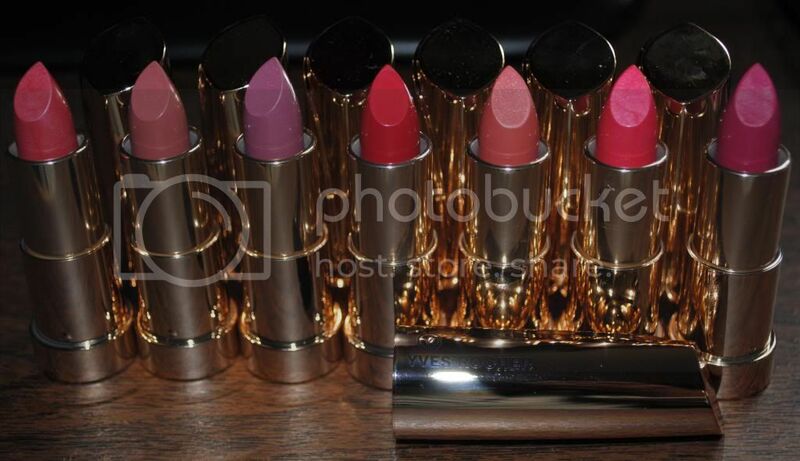 I love the design of the container and the fragrance of these lipsticks are all very appealing. I never had a lipstick that smells as good as Grand Rouge lipsticks. Yves Rocher has now became one of my favorite cosmetic brands. I recently reviewed their skin care products and they were great. Yves Rocher just launched the Grand Rouge cosmetic line last April as part of their permanent collection. They definitely have the hottest colors of the spring/summer 2013 season for all of your cosmetic needs.